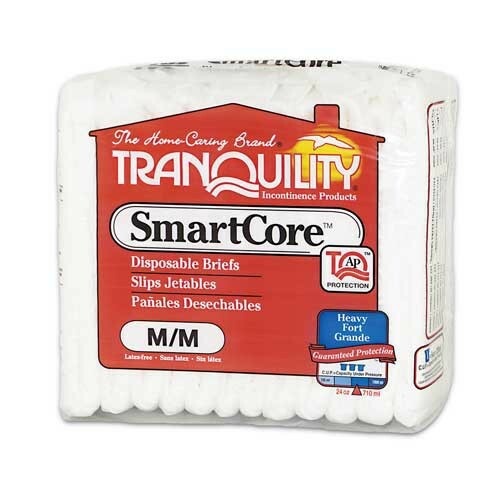 Tranquility SmartCore Briefs are effective for incontinence for up to 6 to 8 hours. 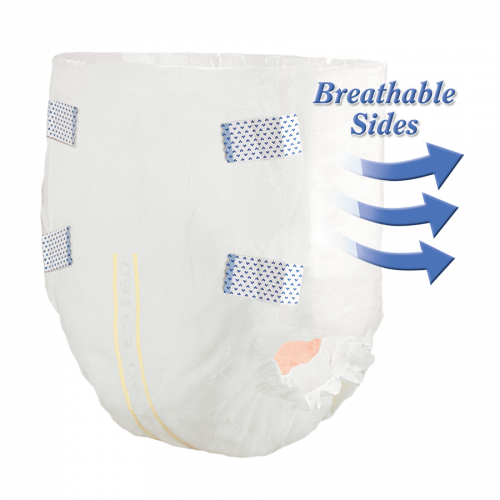 SmartCore Briefs are disposable briefs that maintain an ideal micro-climate for preserving skin integrity. 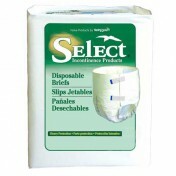 These incontinence briefs maintain an ideal micro-climate to preserve skin integrity. Constructed with a high capacity absorbent peach core and breathable sides to eliminate heat and moisture build-up, SmartCore Briefs offer micro-hook closure tabs that grip the soft, cloth-like outer layer to securely fasten. Kufguards®, inner leg cuffs, channel fluids into the core, helping to contain high volume urge episodes and bowel incontinence. A wetness indicator turns from yellow to blue when moisture is present, thus eliminating unnecessary changes and reducing costs. 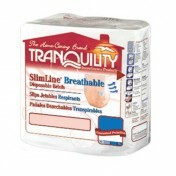 Tranquilty also manufactures incontinence underwear, booster pads and disposable underpads. Peach mat construction guarantees skin dryness. Neutralization of urine pH, odor reduction and inhibition of bacterial growth. 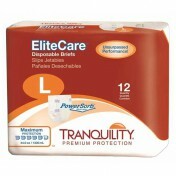 Effective incontinence protection for up to 6-8 hours. 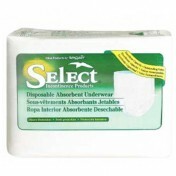 The inside of the brief is treated to control the growth of bacteria and fungi that cause odor and skin damage. Kufguards® are inner leg cuffs designed to channel fluids, contain high volume urge episodes and help contain bowel incontinence. 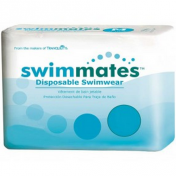 Breathable sides eliminate heat and moisture build-up to promote healthy skin. Micro-hook closure tabs grip the cloth-like outer layer to securely fasten the brief and allow for multiple re-openings. Capacity and wetness indicator – turns color when moisture is present. 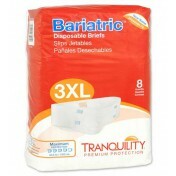 Tranquility SmartCore Briefs Product Numbers: 2311, 2312, 2313, 2314, 2315. Waist/Hip Sizes: 24 to 32 Inch, 32 to 44 Inch, 45 to 58 Inch, 56 to 64 Inch, 60 to 80 Inch. Capacity: 22 ounce, 28 ounce, 34 ounce.